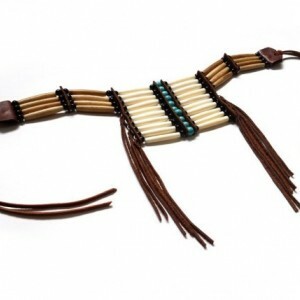 This tribal breastplate choker necklace is made from authentic Water Buffalo bone Hairpipe beads. 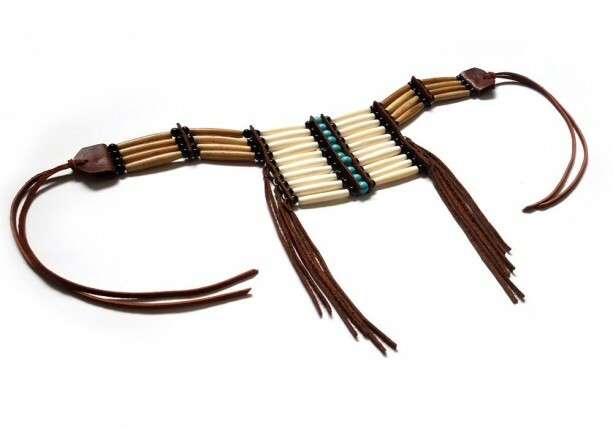 The neckline (not including the leather ties) is 13.5 inches long. 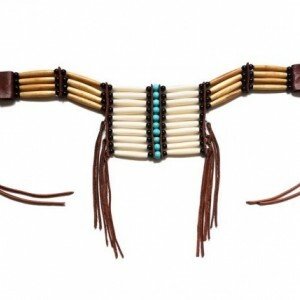 The breastplate centerpiece is 4 inches in width and 3 inches in height. 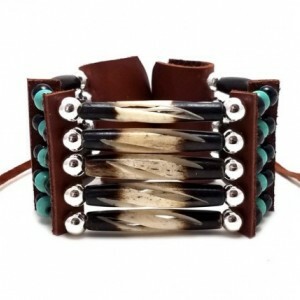 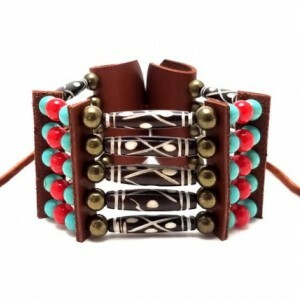 Other materials used are genuine leather, 6 mm synthetic black round beads, and 8 mm synthetic turquoise round beads. 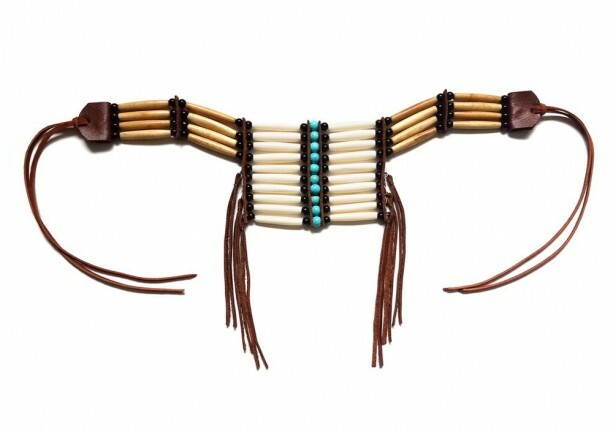 This piece of art is 100% handmade in the USA.